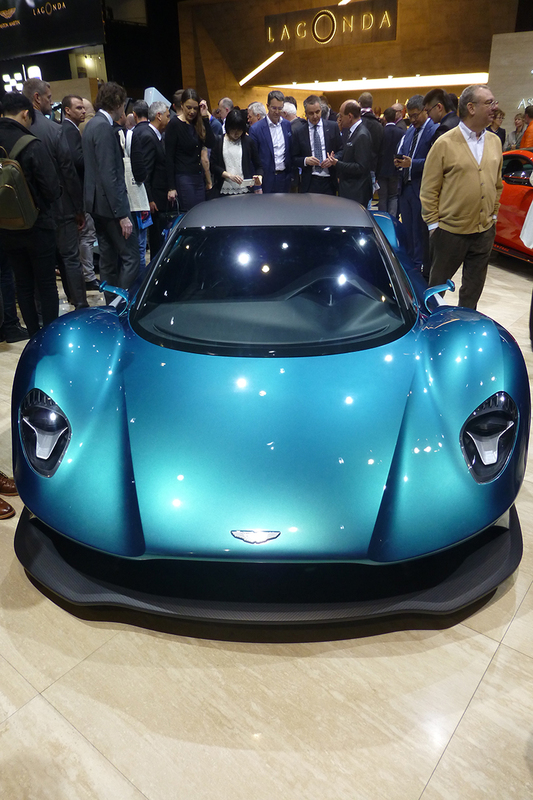 Aston Martin chose the 89th Geneva Motor Show to complete a trio of world debuts with the first glimpse of the breath-taking Vanquish Vision Concept. A tantalising preview of Aston Martin’s first series production mid-engined supercar, the Vanquish Vision Concept showcases the design language of the marque’s most ambitious model. Reviving an iconic nameplate tradition-ally reserved for Aston Martin’s flag-ship production model, the advanced design study provides further evidence of the proudly British brand’s intent to compete in one of the most hotly contested market sectors in the automotive world with this Gaydon built offering. 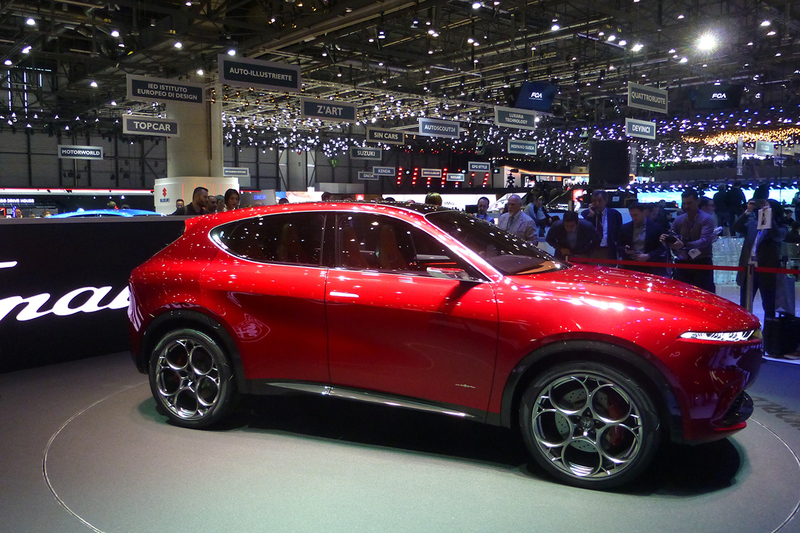 Alfa Romeo was breaking into the electric car world at the 2019 Geneva International Motor Show with the new Alfa Romeo Tonale mid-size SUV concept. The Tonale is the first plug-in hybrid and the first mid-size utility vehicle from Alfa Romeo. Its goal: “To deliver the best driving dynamics in the segment and to apply electrification in perfect Alfa Romeo style”. Further proof of Honda’s electrification ambition was seen in the shape of the Honda e Prototype. Unveil-ed for the first time at Geneva, the car previews Honda’s first production battery electric vehicle for the European market. Positioned as an urban commuter, the car features a competitive range of over 200km and a ‘fast charge’ functionality providing 80% range in just 30 minutes. It also features trade-mark Honda driving dynamics with a sporty rear wheel drive configuration. The production version of the Honda e Prototype will be unveiled later this year. Customers can register for updates on the Honda website now, and will be able to place a reservation for the car in selected European markets in early summer. 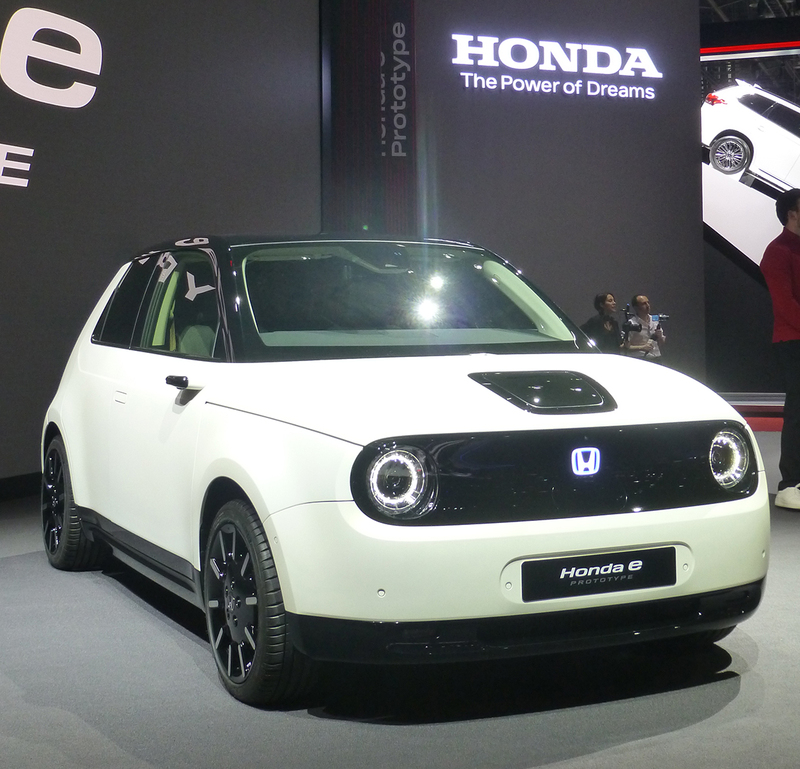 To date Honda has received 15,000 registrations of interest for the Honda e Prototype. A landmark occasion in electric car desirability and performance was celebrated when Michael Perschke, Automobili Pininfarina CEO, Anand Mahindra, Mahindra Group Chairman and Paolo Pininfarina, Pininfarina SpA Chairman, unveiled the Pininfarina-designed pure-electric luxury hyper GT Battista at a gala VIP event on the eve of the Geneva International Motor Show. 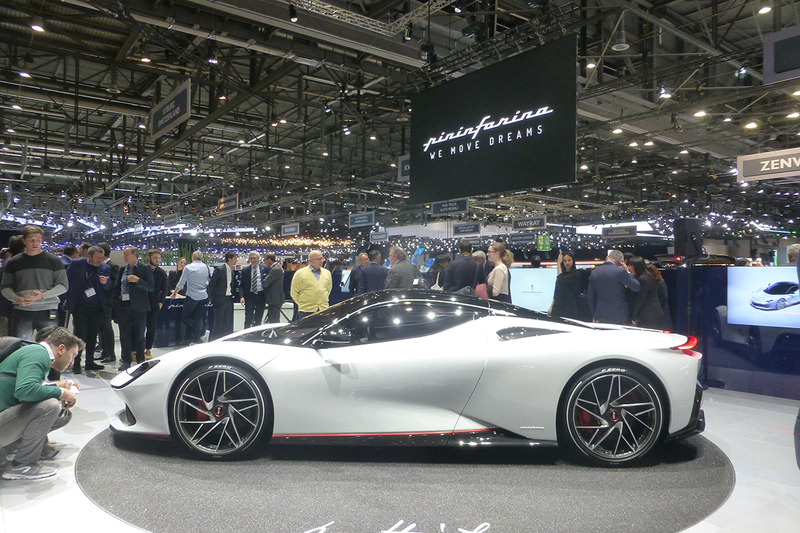 Michael Perschke, CEO, Automobili Pininfarina, said: “The Battista represents a beautiful dream for us all. In just 12 months we have set up an amazing new electric car brand that delivers on the Pininfarina-family dream to see a luxury car solely badged Pininfarina. The best possible technical partners have joined us on this journey to develop the Battista with zero emissions and more power than is possible from an internal combustion engine. The Battista will be the most powerful car ever designed and will make you fall in love with electric power.” In celebration of the Battista’s electric performance and the spotlight it shines on automotive sustain-ability, it’s reveal was shared by Nico Rosberg (right), the 2016 FIA Formula 1 World Champion. 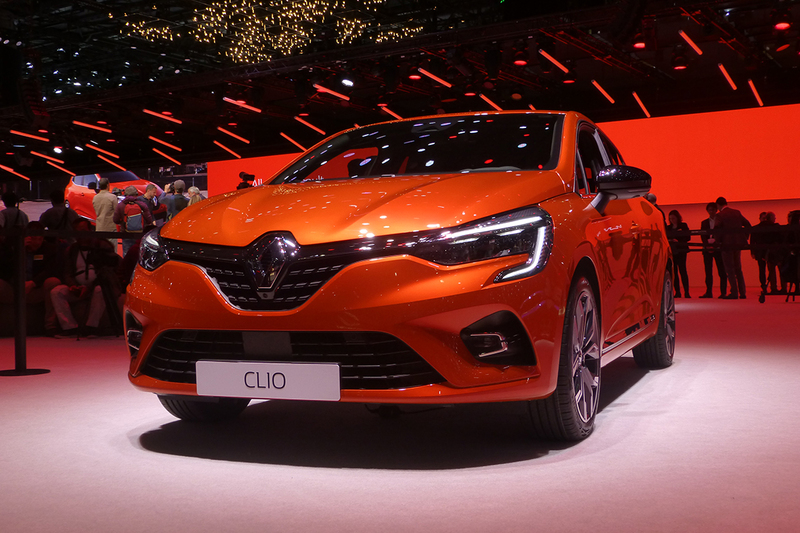 Renault is presented the All-New Clio, the fifth generation of the automotive icon. “The fifth-generation Clio is very important for us as it is the best-seller in its segment and the second best-selling car in Europe, all categories combined. The Clio is an icon, and the latest features the very best of the previous generations. The exterior design of Clio IV won over our customers and continues to do so today, so we chose to keep that DNA while bringing modernity and elegance to the new model. The interior has undergone a true revolution, with a considerable improvement in perceived quality, greater sophistication and technology. It is the best Clio ever.” Said Laurens van den Acker, Senior Vice President, Corporate Design. 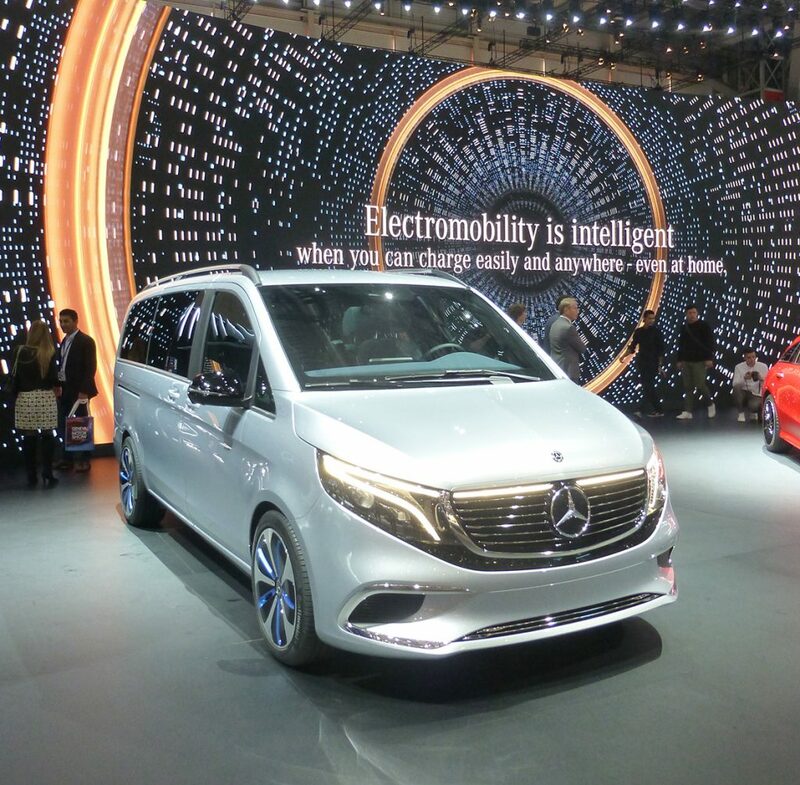 Geneva also saw the World premiere for the first purely battery-electric people mover in the premium segment: The Mercedes Benz Concept EQV. “ The Concept EQV offers all of the brand-typical attributes familiar from this segment which Mercedes-Benz customers have come to know, appreciate and also expect. As a family companion, a leisure-time adventurer or a shuttle vehicle with lounge ambience, the combination of these characteristics with a battery- electric drive mean the Concept EQV is a concept car with a future.” explained Wilfried Porth, Member of the Daimler AG Board of Management for Human Resources and Director of Labour Relations, Mercedes-Benz Vans.